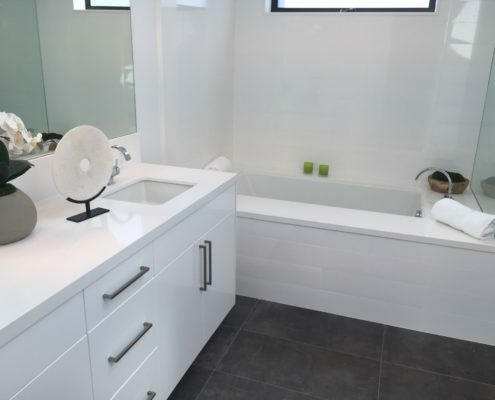 Our bathroom remodeling, designs, and renovation services will turn your average bathroom into a sleek and sophisticated shower room that friends and family will enjoy for many years. Kitchen remodeling at its finest. 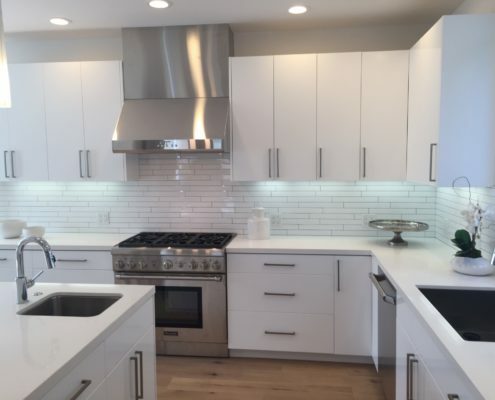 Our kitchen design and renovation services will leave your Michigan home looking like a Pinterest picture. Only in real life, not pinned on a board! 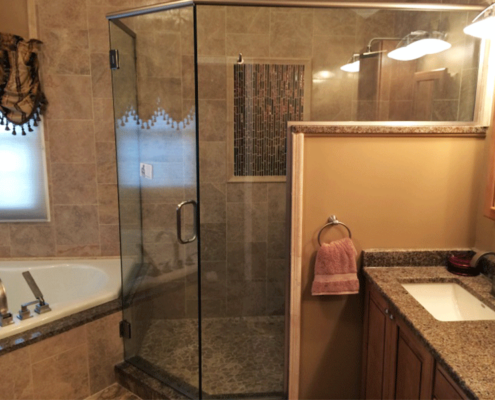 Nobody does glass shower doors better than “Designs In Glass”. Our frameless, seamless, euro shower doors are top notch and we know you will love them. Say goodbye to pesky shower curtain rods and hangers! 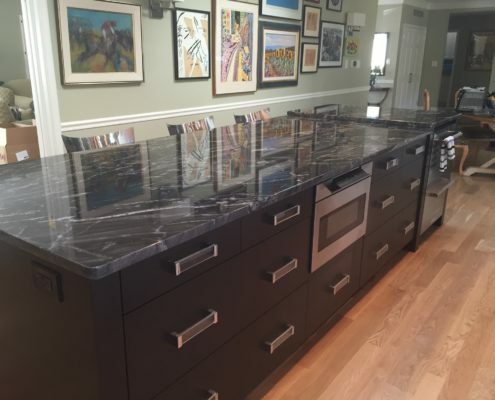 Our custom made countertops come in all types of material. 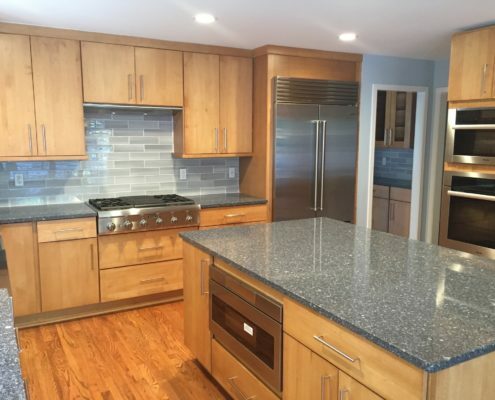 Granite, quartz, butcher block and more. 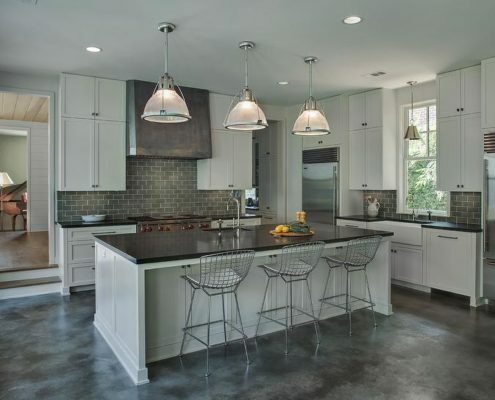 The is no space in your kitchen, bathroom, island, or home that we cannot design/install the perfect countertops for. Whether you are looking for new modern design cabinets, or want to bring back the down home country feel. Our custom cabinets will be designed to fit your space and gone style perfectly. Nothing adds the finishing touches to your home space like good ‘ol floor tiles and lighting. We have everything from ceramic tiles to hardwood floors, hanging lights and recessed lighting.